Will Superweeds Choke GMO To Death In America? 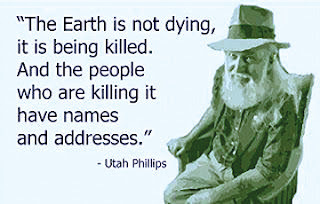 When we human beings become too self-destructive for our own well-bring and that of our Earth, sometimes nature takes control and does what we in our greed and stupidity refuse to do. The refusal of Governments around the world–with notable exceptions such as the GMO-free Russian Federation–to order an immediate global ban on planting of Genetically Manipulated Organisms, GMO, including for corn, for soybeans, for cotton to name just a few, along with an immediate ban on paired weed-killers such as Monsanto’s Roundup, is stupidity pure. The response of nature, however, may sound the death knell for American farmers’ use of GMO seeds more effectively than any labelling or WHO carcinogen warning. 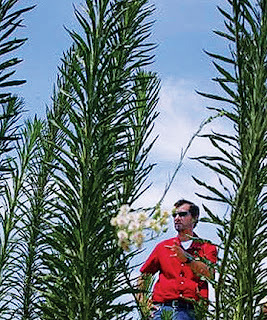 Superweeds are literally choking GMO plants to death across the US Midwest farm belt and that should send a very real signal that nature abhors GMOs and their toxic weed-killing chemicals. Since President George Herbert Walker Bush met with the directors of Monsanto in the White House in a closed-door 1992 meeting, American agriculture and the American people have been the experimental guinea pig for testing the effects of planting of GMO crops paired to specific toxic weed-killers. G.H.W. Bush after the Monsanto powwow ordered US Government agencies to treat the untested GMO seeds and their paired weed-killer chemicals as “substantially equivalent” to non-GMO plants and not requiring extra government testing, one of the more lunatic decisions of a President who seems to have had a morbid affinity for lunatic decisions. Today, a quarter century later, 96% or almost every ear of USA corn, and most every single soybean, 94%, planted today in the United States is GMO. Those GMO crops find their way into practically every store-bought food product agribusiness pushes on us today. Most of it is Monsanto GMO crops using, by mandatory contract agreement, Monsanto glyphosate-based Roundup weed killer. This is because at present the Monsanto GMO seeds are genetically-modified only to resist Monsanto Roundup weed-killer based on glyphosate. As well, some 90% of every cotton ball harvested in the United States is GMO, and sprayed too, with toxic glyphosate. 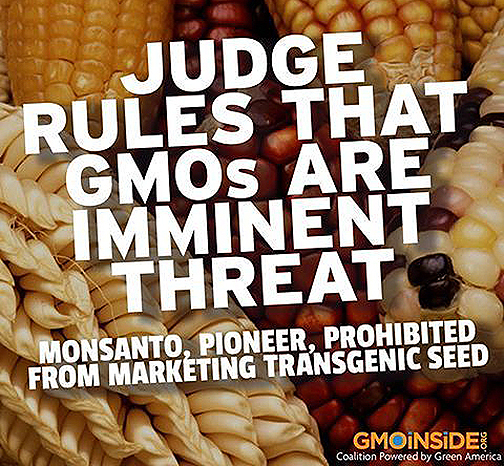 Now with ruthlessness against the crass violation of natural law that is inherent in the entire GMO eugenics experiment, nature is waging its own clever war on GMO crops in the USA. And make no mistake, the intent of the Rockefeller Foundation in funding the creation of GMO back in the 1970’s was and still is just that–eugenics. It seems that the lies of Monsanto-Bayer, Dow-Dupont, ChemChina-Syngenta are coming back to haunt them. Far from their widely advertised claim that their patented GMO seeds need far less chemical weed-killers, USA farmers are finding out, over a period of years, that their crop acreages sprayed with ample doses of Roundup or other glyphosate-based weed-killers are fostering the growth of toxic Superweeds. Those superweeds are “glyphosate-resistant” meaning the Monsanto and other glyphosate weed-killers are useless. 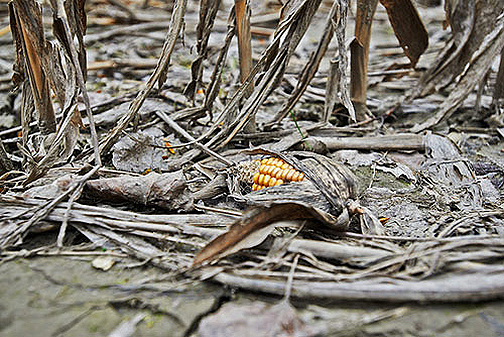 Farmers are forced to pour on other toxic weed-killer options to salvage their crops. An alarming new study has just been published by the University of Illinois Plant Clinic highly relevant and highly ignored by mainstream irresponsible media. The study took some 593 field samples of approximately 2,000 waterhemp and palmer amaranth (pigweed) plants from ten farm states across the USA Midwest, the heartland of world agriculture, or at least until recently. 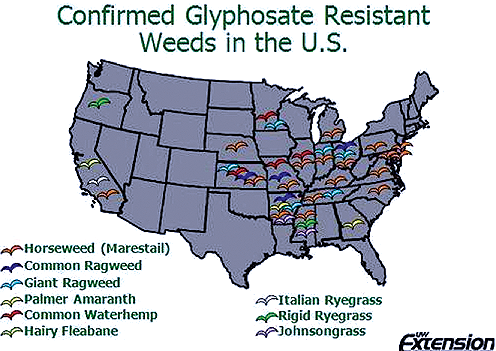 They conducted careful testing and found the alarming results that across America’s farmbelt, 456 of the whole 593 field sites sampled showed Glyphosate Resistance – a total of 76.8%. The Illinois University study, which reportedly is going viral among US farmers through the Internet, showed that for four of the nation’s largest food producing GMO states, the following percent of fields had superweeds such as waterhemp or palmer amaranth that had developed resistance to glyphosate and most other major weed-killers. In Illinois, 48% of the fields with superweed samples present tested positive for both glyphosate and PPO Inhibitors (sometimes called contact herbicides, another form of weed killer) resistance. That means the superweeds thrive despite herbicide doses. In Indiana it was 66.6% or two-thirds. In Iowa, where the pro-GMO Governor, Terry Branstad is awaiting Senate approval as new Trump Ambassador to China, the percent of fields resistant to the superweeds is a shocking 74.7%, or three-quarters. 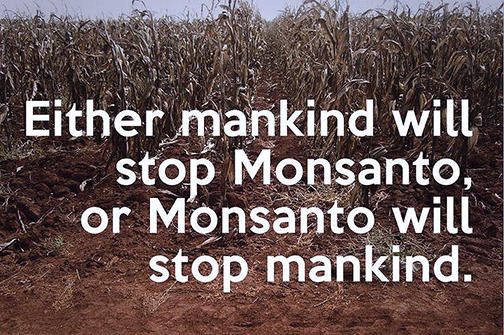 And in Missouri, home state to Monsanto, the figure is 81.8%. This is significant I would say. The University of Illinois researchers note that, “Fields with plants that are positive for both glyphosate and PPO inhibitor resistance are of particular concern due to the limited possibilities for control of these weeds. Many natural food eaters associate amaranth with highly nutritious grain varieties. The Palmer Amaranth or Palmer Pigweed as it is known to farmers, is not so nice. It is toxic to livestock, and Palmer amaranth is also a threat most specifically to the production of cotton and soybean crops. Beginning 2006 Palmer amaranth was first confirmed resistant to glyphosate in some southern states, some twelve years after the commercialization of GMO crops in the USA. It choked off growth of cotton GMO plants. Since then it has spread north as far as Illinois, spread by wind. Pigweed or Amaranthus palmeri is now unaffected by normal weed-killers across the US Midwest. Waterhemp is an even more aggressive variety of pigweed. Tall waterhemp produces between 300,000 and 5,000,000 seeds per plant. Tall waterhemp also has a growth rate, 50%-70% greater than other annual weeds. Its stem can grow up to three feet long and it can reduce soybean yields as much as 44%. 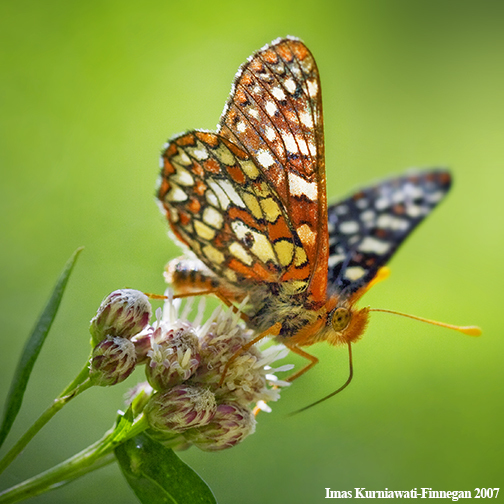 Man and nature need to restore the natural harmony of life and nowhere more urgently than in restoring a natural food chain free from test-tube machinations to produce monstrosities such as GMO corn or GMO salmon whose true effects on humans is entirely unknown.